This kata was developed and introduced in the 1940’s by Sensei Chojun Miyagi. 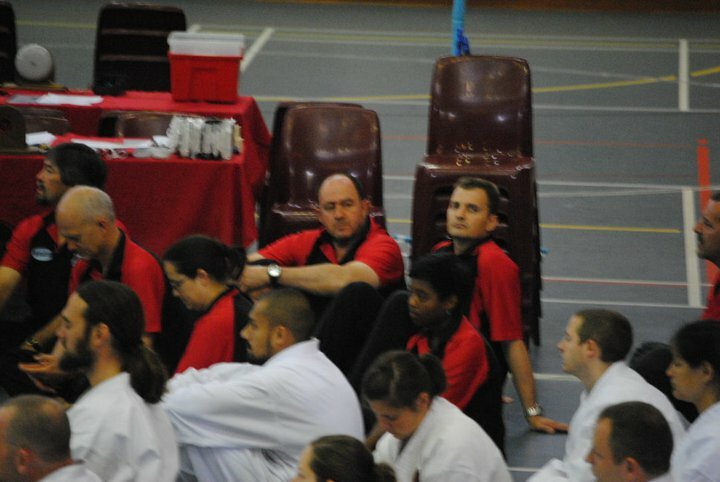 It’s intention was to popularize Karate to the general public and help establish a curriculum for school children. It contains powerful, basic movements that are quite easy to interpret and learn, however many of the techniques have multiple applications. Most the movements are done with a closed fist and with full power. Seiyunchin: To Pull, Grasp and Unbalance. Shisochin: To Destroy in Four Directions. Again like seiunchin kata, close range techniques are used throughout this kata. Rapid whipping techniques are blended in with those requiring ‘muchimi’. 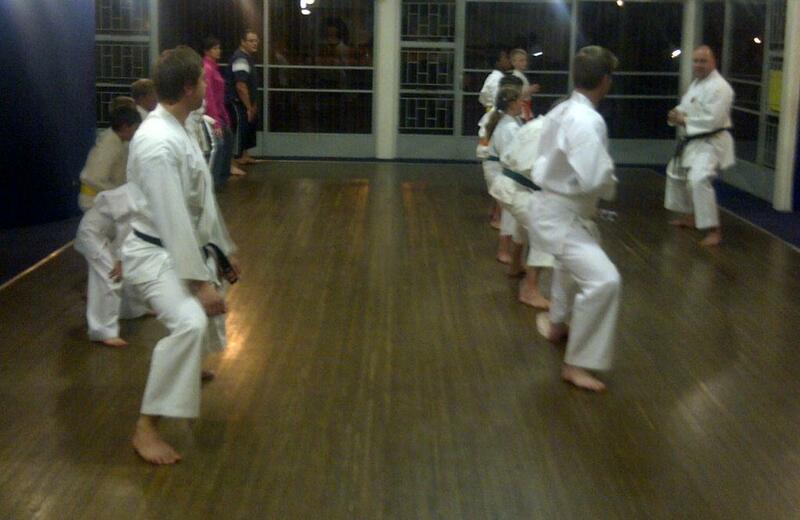 Joint locks and breaks are a feature of Shisochin kata. You can see the Chinese influence in this kata as there are only four (4) closed hand techniques in this kata with all the rest open hand techniques. Circular, whipping movements and body evasion (taisabaki), dropping your body to rise up and push your opponent off balance and faints are all found within this kata. There are, as in ALL the other kata, many hidden techniques and movements. Certain hand techniques require a unique use of certain part of the hand eg, performing the gedan furi uchi after swiveling 90 degrees requires the hand to be shaped like it would when one knocks on a door. Again the use of taisabaki, joint locking and breaking techniques are prominent within this quick and fast kata. Many open handed techniques could either be interpreted as a joint lock or a block, and depending on the circumstances could be used as both. The use of the hips to aid some hand techniques enhances both the power and effect of the technique. The opening three Sanchin dachi steps with the morote chudan uke (double middle level block) and chudan gyaku tsuki (reverse stomach punch) appears to be similar to that as in Sanseru kata, BUT, in performance and application they are NOT! This is a powerful, fighting kata with many superb close-in fighting techniques. 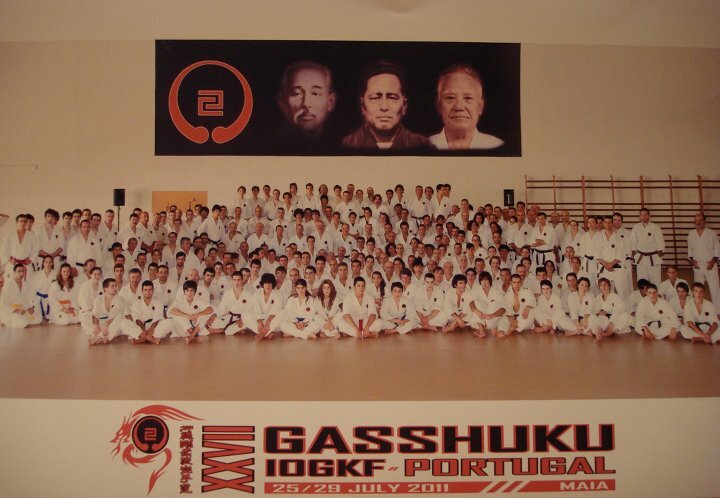 The longest of all the Goju-Ryu kata, Suparinpei is said to contain all the techniques from all the Goju-Ryu kata. 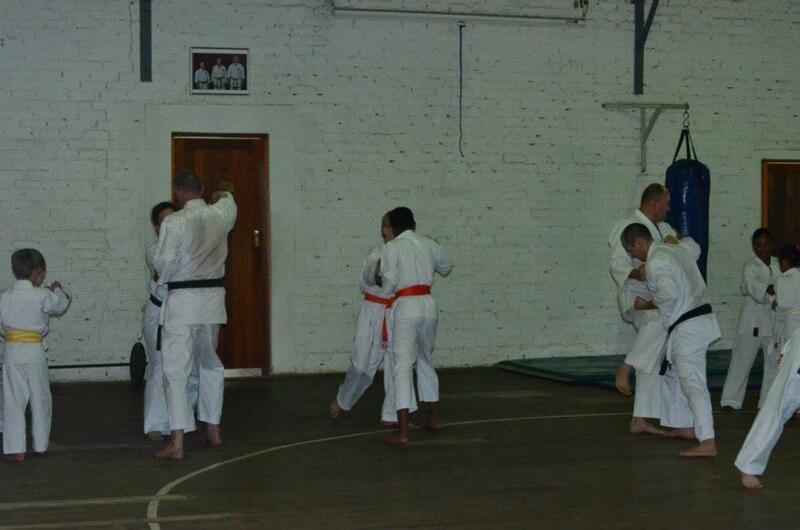 Quick blocking and simultaneous striking are found all over this kata. Just like in a fight, you have to pace yourself and your breathing to end off this kata strongly. This kata is also known by it’s original name, Pichurin. After years of research it was found that there were 3 different ways of performing this kata, each with different hidden meanings and techniques of which the one we’re currently doing is the only version that survived with its full meaning. This kata was developed by Sensei Chojun Miyagi because he perceived the original Sanchin kata he learned from Higaonna Sensei, was too long for beginners. As stated above. Brown and Black belts should do their own personal training using Sanchin. Sanchin we know today has all the same movements as the original Sanchin kata but is shorter and no turns hence making it a little easier. Sanchin kata is the basis of the Goju-Ryu Karate system. All other kata are based on the Sanchin form. 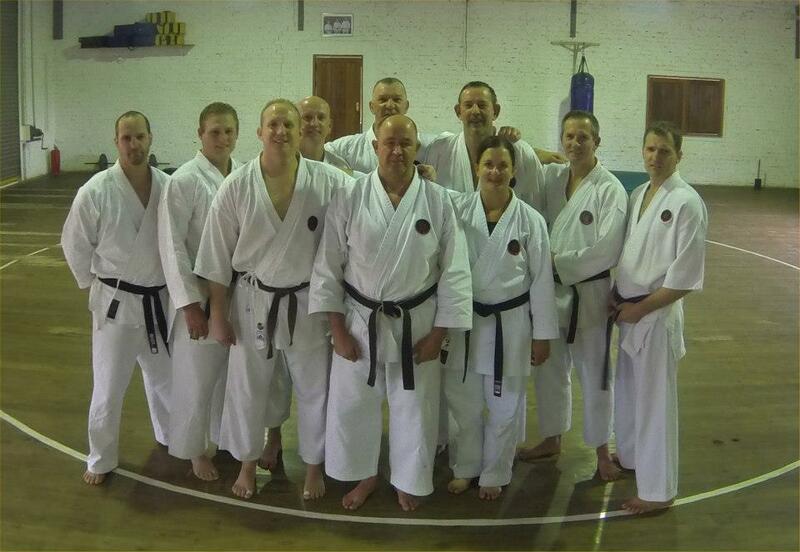 The principals of Goju-Ryu Karate are all encompassed within this kata. 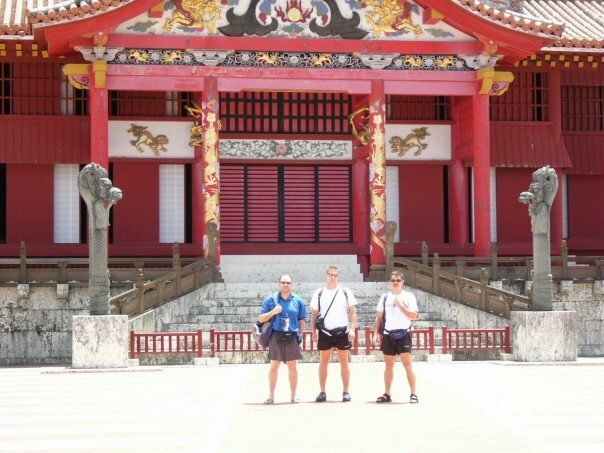 The Grand Masters in Okinawa have explained that in the olden days Goju-Ryu or Naha-te karateka would learn the Sanchin Kata and only one other Kata, based on that person’s body type, therefore you would only have two katas. Today we are very lucky to be able to learn the whole system, however we must remember Sanchin Kata was and still is an very important kata. 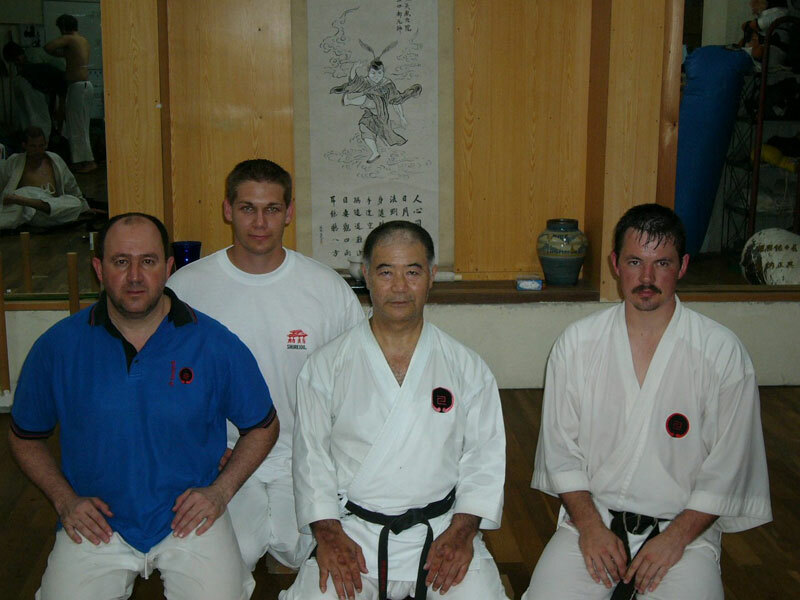 Tensho kata was created by Sensei Chojun Miyagi. Tensho literally means ‘turning hands’. This is the ‘JU’ (softness) of Goju and Sensei Miyagi developed this kata from the ‘Rokkishu’ kata of the Fukian White Crane System. The hand movements and breathing require a high level of co-ordination.